Our stone sawing machine is suitable for cutting all kinds of hardness stone even more than 5mm thickness of marble and granite.Use this bridge disc stone sawing machine cutting the stone ,you will get high stone flatness,low stone broken rate,high yield,low cost and more efficient advantages.bridge stone sawing machine can bear 20-40T,1800X1800mm,8 roller rotary tub.It’s rotary table is made by 30mm steel plate.Walking host uses oil immersed type dovetail structure,frequency conversion stepless speed regulation,sliding parts installation of high wear resistant materials,running more stable and durable. 1. the length of the main beam(two 500mm as a basis of clearance) can be extended to 10000mm. 2. Recommendations for the purchase of more than a piece of sawing machine using computer automatic control. This stone machine is used for cutting large stones into small stones and making preliminary processing for large stones.The scope of stone is very extensive, including granite, marble, Xuan Wuyan, mudstone, shale and so on.According to different regions and different stone materials, we can provide different stone machinery accessories according to the cutting needs of customers.Users can also choose different control systems to achieve the intelligent and automatic operation of the equipment. 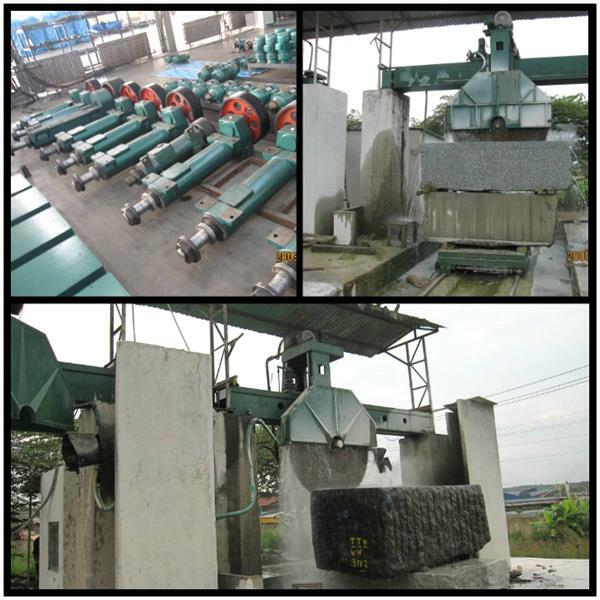 The following picture is a bridge disc stone sawing machine which we have tested after production. The upper left corner is the spindle equipment of the stone cutting machine. This picture below is the stone sawing machinery’s saw blade shield,it can protect the blade from the damage between the transport way. 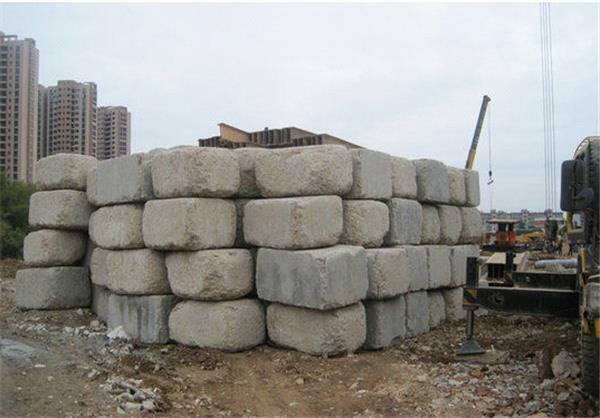 Bridge stone sawing machine can cut the larger irregular stones into regular small stones to facilitate further finishing. A: payment Irrevocable L/C at sight or T/T (30%down payment and 70%balance payment against the scan B/L). Maintenance is an important work in mechanical production, and its impact on production is very huge.The moving parts and driving parts of machine tools should be kept clean and lubricated for a long time. The dust on the surface of each part should be removed before and after each shift, and lubricant should be added. Contactors emit relatively large noise when working. They can be used to clear the dirt and rust on the surface of magnets, such as wipes and brushes. If it is found that the contactor has obvious delay after cutting off the power supply, the magnet and the surface of the grease, dust, rust and other stolen goods can be wiped clean to restore normal. When troubleshooting is needed, the relevant professionals should be removed, and those who do not know how to do so should not be unauthorized.